Friday the 13th was a travel day. My time was spent contending with weather delays, missed connections, mismanagement, cancelled flights, long lines, and four separate boarding passes before I finally broke free of the Houston Airport. That flight actually took me to Washington D.C. (yes, coast to coast) before I could reach my destination in Indianapolis. Exhausted from the chaos of the previous day, I joined my colleagues for breakfast, and the opening address from our CEO. I leaned back in my chair, sated with a delicious breakfast, and allowed the coffee to find it’s way through my circulatory system. I was acclimating. Then the words she was saying started to sink in. Like scraping the needle across a record, something in my brain screeched to a stop. I sat up straight. You want to change YSC? You want to change the one thing that has been most helpful in keeping me sane over the past two years? I looked around the room; I wasn’t the only one looking uncomfortable. This wasn’t just any room, this was a room full of breast cancer survivors and supporters. These are women and men who are all-too-familiar with having change thrust upon them, changes no one should have to endure. While the purpose of the event was to steer the organization towards a sustainable future that supports its mission to provide services for young women with breast cancer nationwide, I got a little something else out of it as well. The three day weekend distilled itself quite neatly into a lesson in change management. On one day I saw agents rolling their eyes, defensively barking at everyone that they can’t control the weather, and disparaging travellers who were exhuasted, hungry, sore, irritated, anxious, travelling with a hoard of kids, and some (who may or may not have been me) who desperately needed to go to the bathroom but didn’t want to lose their place in line after already waiting an hour. To be sure, I do not envy their jobs; dealing with that many people in a crisis situation far from home can’t be easy. But in many ways the agents themselves contributed to the chaos and stress of the situation, encouraging it to advance from an unfortunate inconvenience to angry, pushing crowds. 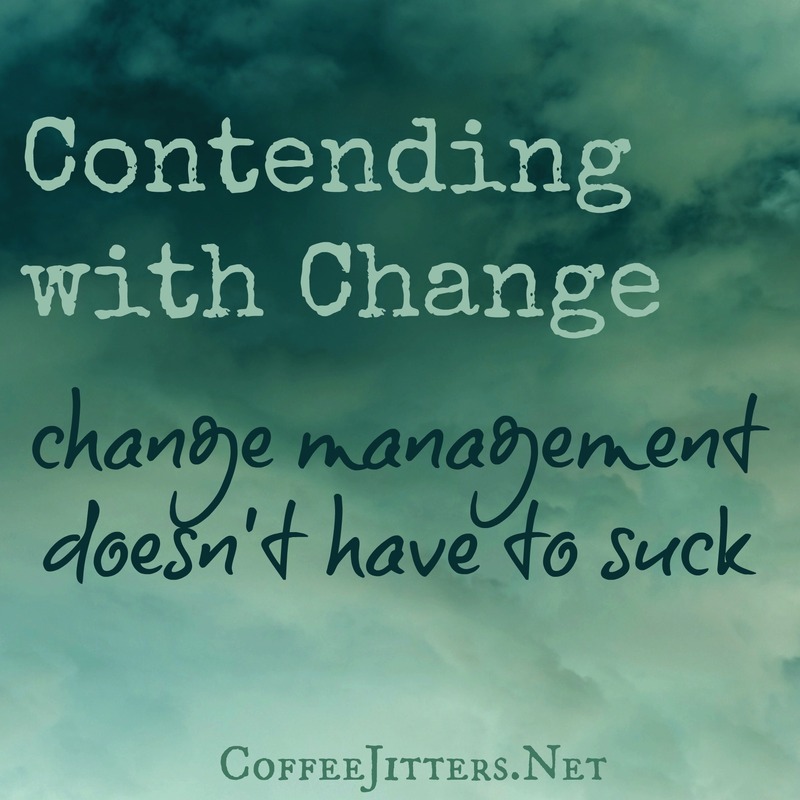 The next day, I witnessed a very different method of dealing with change. These are big changes that impact programs that were built with sweat, tears, and heart by unpaid volunteers. They are mucking about with, what is for many of us, our safe place. But I went home feeling ok about the situation, not because I agree with everything that has been decided, but because of the way the announcement and the subsequent activities were handled. The day was programmed around providing more information, and requesting comments, criticisms, and concerns from the participants. I’m fascinated by how liberating it felt to make a comment and have it really heard. Each time that happened, the stress lightened up a bit. After a night of dancing, things started to look a lot better the next morning. There is also a great deal of value in hearing management say they don’t have that nailed down yet because they intend to consider our responses. Whoa. This was more than just letting affiliate leaders vent to get things out of their system, they were really collecting information. I think there were two elements that were most effective in helping us process these changes: understanding and time. There’s just no way to quantify the value of being heard and really understood. Additionally, I have a better understanding of the plan, and on a logical level, I can see that these changes will help our organization be more nimble and responsive, remain sustainable, and ultimately help more young women with breast cancer. My head is there, my heart may take a bit more time to catch up. And time was a critical element here as well. It allowed me to get used to the idea. These changes are six months off, so we have room to acclimate, plan for them, and make the best of them. Over the weekend there was a pattern of relieving pressure by taking and answering questions, followed by some time, and then another pressure relief opportunity. By the time I got on the plane to return home, I was still unsure how I felt about some of the elements, but the angst was gone. The transparency demonstrated throughout the event gives me hope that concerns that arise in the interim will be handled with the same grace. It should be noted that the participants in this meeting are women and men who have already faced daunting changes and challenges, rose above them, and used them as a catalyst for helping others and improving the world around them. We have plenty of experience in adapting, and making the best of a situation. Give us a little time, resources, and infrastructure; we will make this work. On the other hand, less time in Houston would have been preferable. But DCA turned out to be a beautiful airport (top photo), and I got to see the Washington D.C. monuments from the air, both coming and going. It’s been a quarter century since the last time I saw them. How do you deal with change? Do you prefer to have time to get used to an idea? Or does more time mean you stew and worry more before it happens?